You may have heard last year about our “Academy” initiative. This project consisted in hiring newly-graduated and train them in order to provide them with the right tools and methods to become junior business analysts. This initiative also reflected our investment to provide our collaborators with a strong basis of methods and techniques. After a first successful experience started in September 2017, ‘escent has decided to launch a new Academy session this year. Experienced and dedicated colleagues sharing their expertise and welcoming this new team. 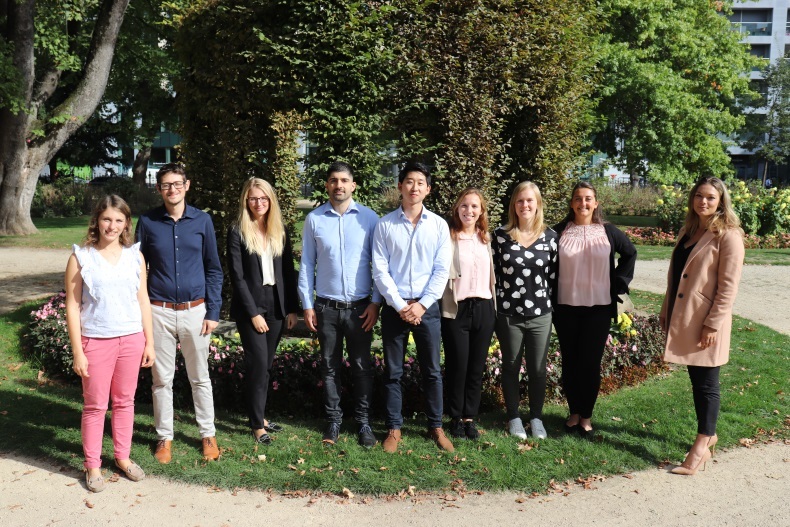 Today Adrien, Amélie, Cédric, Delphine, Fanny, Flavie, José, Kim, Louise and Luana joined us at our Brussels premises to start their intensive training program. During two weeks seniors escent consultants and experienced trainers will introduce them to the main concepts and methods required to become good business analysts. The program covers subjects such as business and functional analysis, testing, soft-skills, … After the training session, Associates will join senior escent consultants at our clients. Those senior consultants will closely follow them up and make sure the Associates are diving in the business Analyst role smoothly. More than ever, we believe those exchanges enrich all of us and make us stronger when facing challenging missions. We wish Adrien, Amélie, Cédric, Delphine, Fanny, Flavie, José, Kim, Louise and Luana all the best and are thrilled to start this challenging and enriching period by their side.